Impressionism. 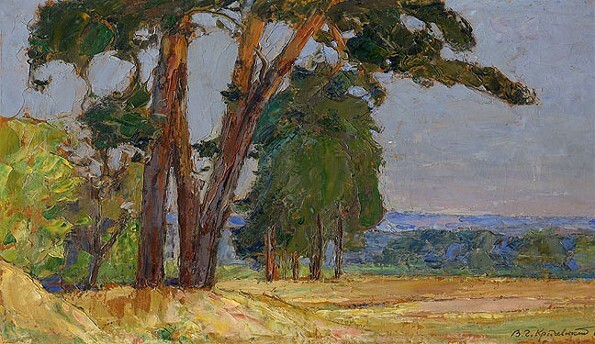 An important movement in painting that arose in France in the late 1860s and is linked with artists such as Claude Monet, Camille Pissarro, Auguste Renoir, and Alfred Sisley, who sought to capture with short strokes of unmixed pigment the play of sunlight on objects. 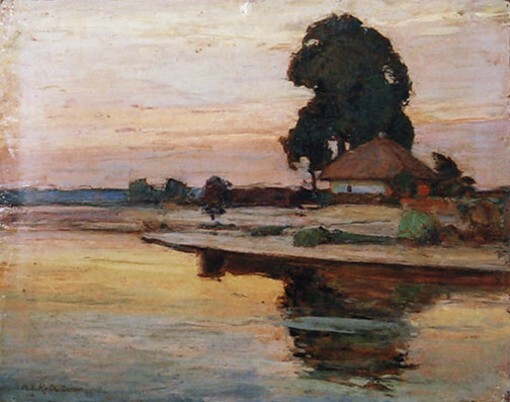 The name of the movement was derived from Monet's Impressions: Sunrise (1872). 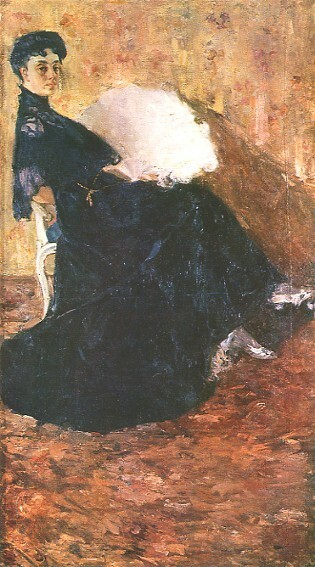 Impressionism had a strong influence on Ukrainian painting. 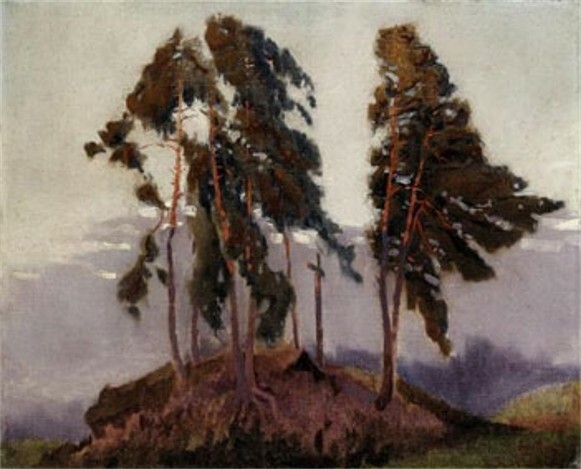 The first Ukrainian impressionists appeared at the end of the 19th century and were graduates of the Cracow Academy of Fine Arts, where they had studied under Jan Stanisławski, Leon Wyczółkowski, and J. Fałat. 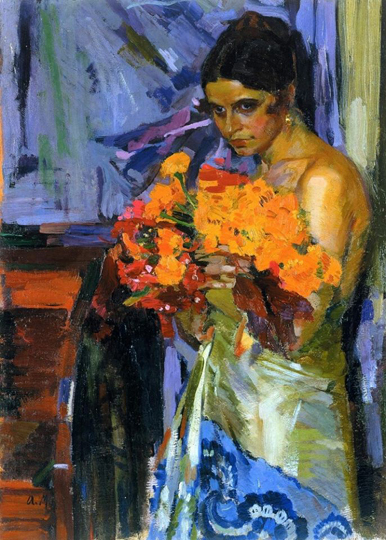 Oleksa Novakivsky, who later embraced a symbolic expressionism reminiscent of Vincent van Gogh and Ferdinand Hodler, was one of the first Ukrainian impressionists. 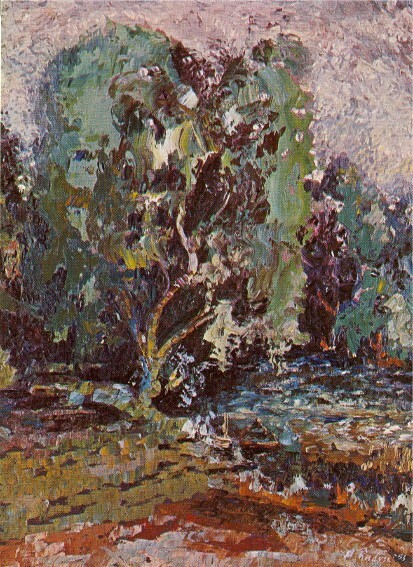 Ivan Trush, who preferred to work with grayed colors, adopted impressionism only partly. Mykola Burachek captured the sunbathed colors of the Ukrainian steppe. 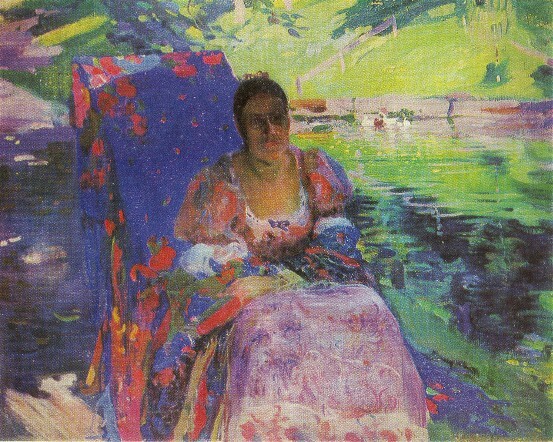 Mykhailo Zhuk and Ivan Severyn introduced decorative elements into their impressionist works. 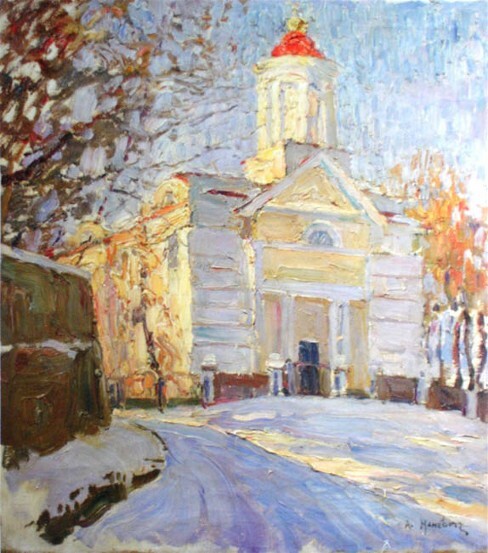 Impressionism was a major trend in Ukrainian painting until the early 1930s. 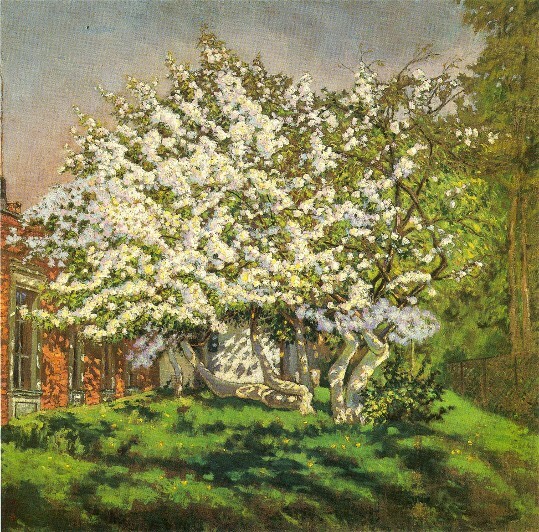 Its leading exponents were Oleksander Murashko, Vasyl H. Krychevsky and Fedir Krychevsky, Petro Kholodny (landscapes and portraits), Mykola Hlushchenko, and Oleksii Shovkunenko. 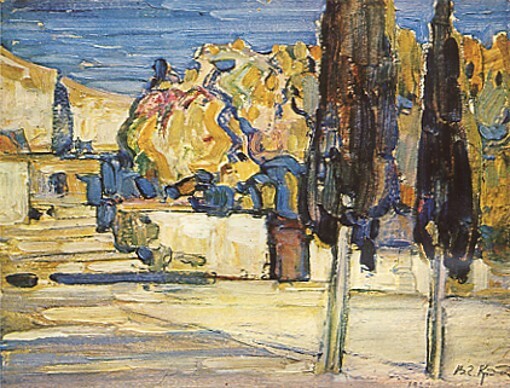 Then Mykhailo Dmytrenko, Mykola Nedilko, Mykola Krychevsky, and Mykhailo Moroz continued the tradition of Ukrainian impressionism. Impressionism gave rise to Neo-impressionism, which attempted to base painting on scientific theory; Postimpressionism, which cultivated the esthetics of color; and Pointillism, which broke down colors into their elementary hues and distributed them in mosaic-like patterns. 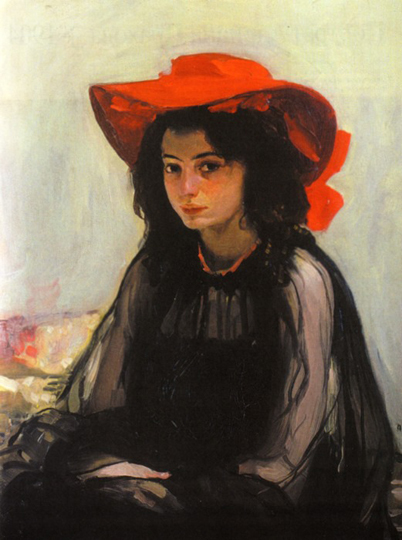 Severyn Borachok, Myroslav Radysh, and Vasyl Khmeliuk may be included among the Neo-impressionists and Postimpressionists. 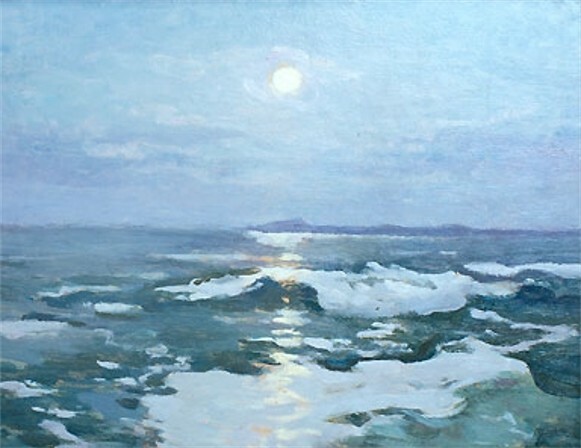 With the imposition of socialist realism in the 1930s, impressionism in Soviet Ukraine was condemned as decadent and proscribed, although its influence in the better Ukrainian painters is evident. Impressionist sculptors such as Auguste Rodin avoided sharp outlines and excessive detail in order to convey a general impression of the object. The leading Ukrainian exponents of this trend were Mykhailo Parashchuk, Mykhailo Havrylko, Bernard Kratko, Serhii Lytvynenko, and Antin Pavlos. 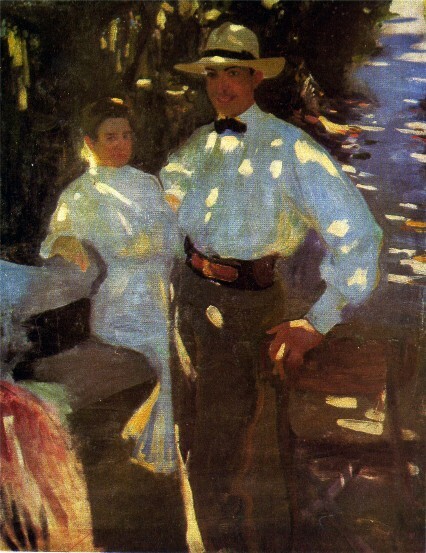 Impressionism left its imprint also on music and literature. In music it strove to convey intimate and subtle moods. Vasyl Barvinsky was a typical representative of this trend in music. Impressionism in literature is a manner of writing whereby the author does not try to represent reality objectively but to capture the impressions derived from it. The writer frequently centers his attention on the mental life of a character by simply registering his impressions or sensations instead of interpreting experience. 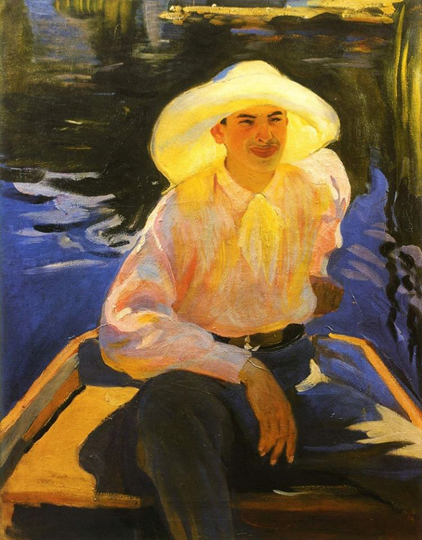 The representive impressionist writers in Ukrainian prose are Mykhailo Kotsiubynsky, Vasyl Stefanyk, Hryhorii Kosynka, and Mykola Khvylovy (although he shows traces of expressionism), and in poetry Oleksander Oles. 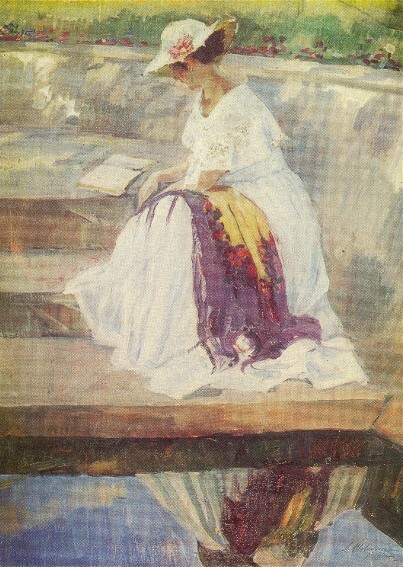 Impressionism was linked often with other literary trends such as Symbolism (Dmytro Zahul) and Neoromanticism (Volodymyr Sosiura).